Hawaiian history and culture runs deep, owing to the many people that have inhabited these lands. 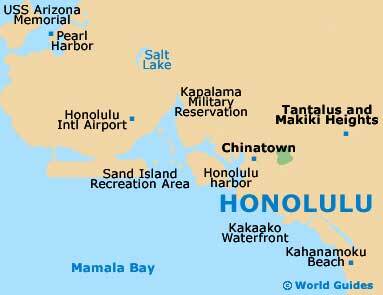 Honolulu contains several excellent museums with some truly exceptional exhibits, all within striking distance of Waikiki. A number of Honolulu's museums also offer free concerts, together with family discounts on Sundays. One not to miss out on is the Battleship Missouri Memorial, which comprises the USS Missouri (BB-63), an important US Navy ship decommissioned in 1955 and now docked within the island's famous Pearl Harbor. 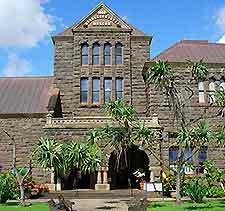 The Bishop Museum was founded in the late 19th century and showcases the history of Hawaii and the nearby surroundings islands through hundreds of exhibits and millions of items. This attraction is housed within an impressive Victorian style edifice with massive walls and turrets, and highlights include the skeleton of a giant sperm whale, a 19th century Victorian style gallery, a grass house, a planetarium and numerous Hawaiian and Polynesian artifacts. Probably the most notable and interesting museum in Hawaii, the USS Missouri (nicknamed 'Mighty Mo') has seen much action during its tenure on the seas, including WWII, and it was on this ship that the Japanese signed papers surrendering from WWII. The great ship, complete with its huge guns, is moored near the sunken Arizona and tours leave from the visitor center throughout the day. This WWII submarine is one of only a dozen or so remaining in the world today and has had an illustrious history fighting against the Japanese during the war. You can wander around the submarine's decks and imagine what life must have been like for the crew, while the Bowfin Museum features numerous interesting exhibits. The nearby Waterfront Memorial honors those submariners who lost their lives in WWII.